Nintendo today announced the sixteenth North American Splatfest for Splatoon 2. Next weekend, players can choose to be on either Team Salsa or Team Guacamole. 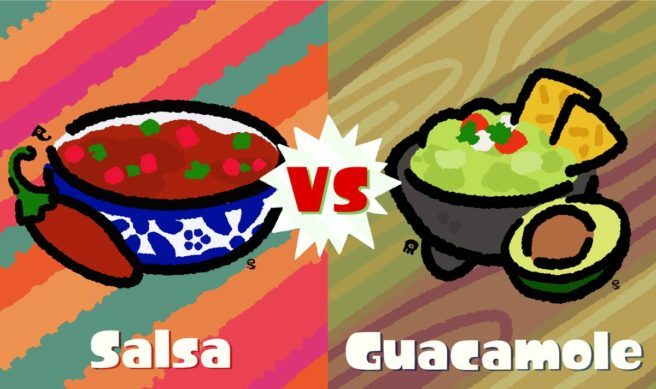 The Splatfest will kick off on November 16 at 8 PM PT / 11 PM ET. As usual, it’ll last for a full 24 hours.